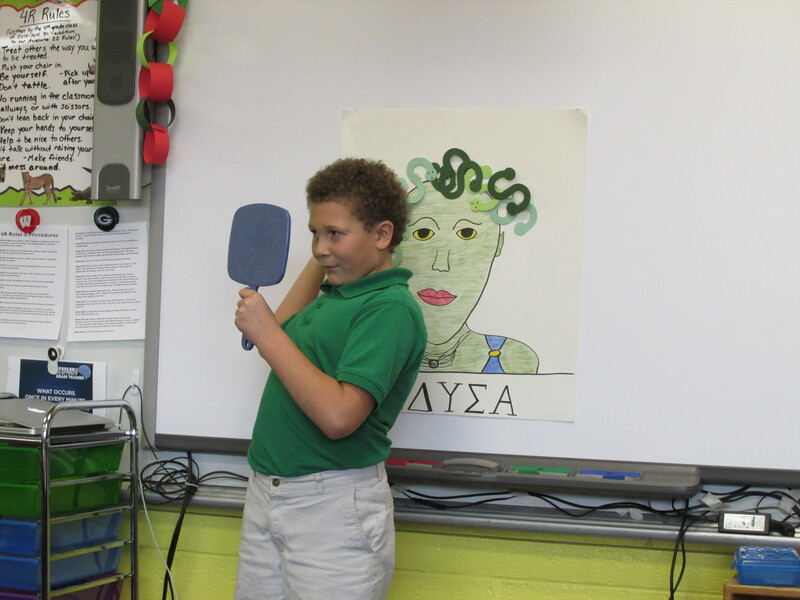 In December, the 4th grade classes study Greek Mythology. We swap teachers and all the students get to take part in the same projects, plus get some time to learn from each of the 4th grade teachers. 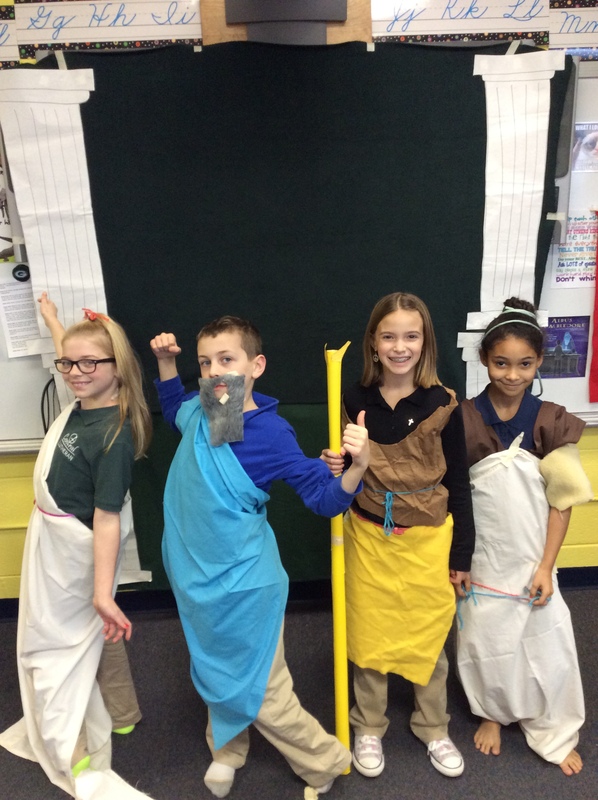 They study the 12 Labors of Heracles, the Trojan War, and other technology projects with Mrs. Rehwaldt. 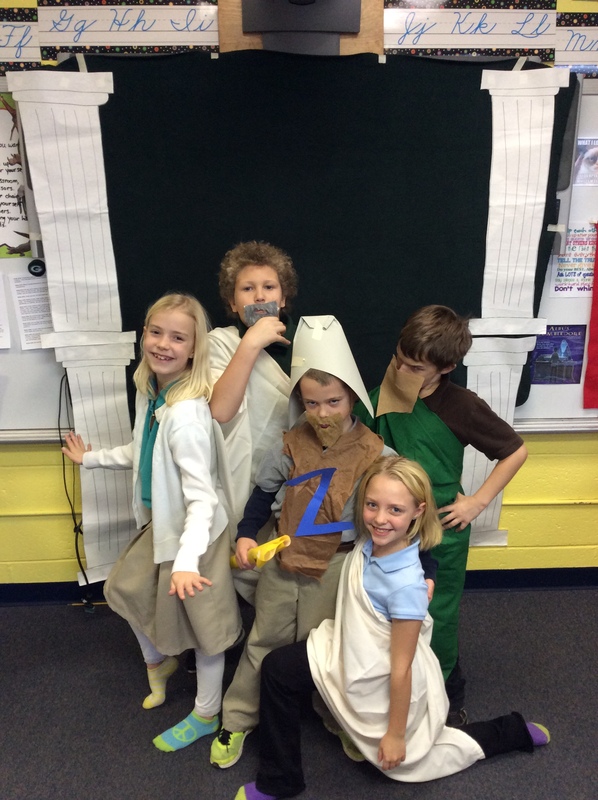 They study four nature myths and do various projects with Miss Renzelmann. We have a few combined projects and activity days the last week before break. 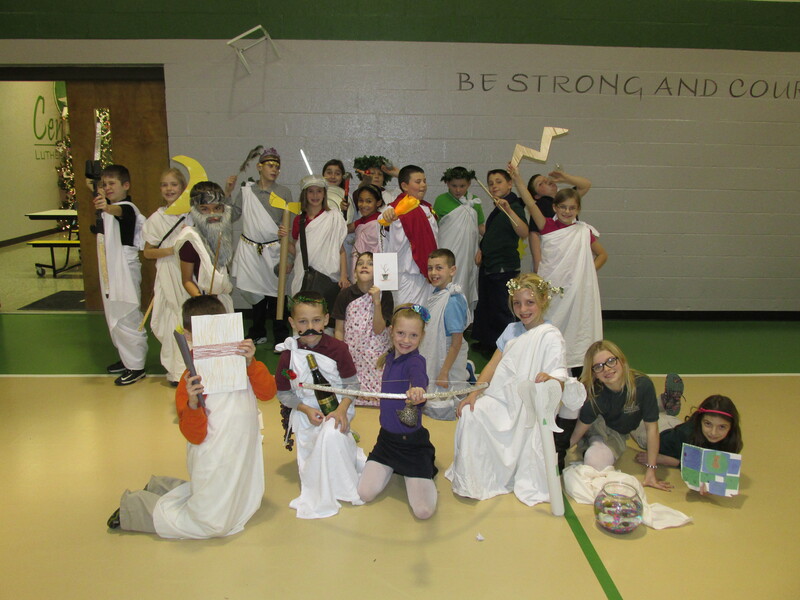 It’s a lot of fun for the students, and a lot of fun for us to teach. 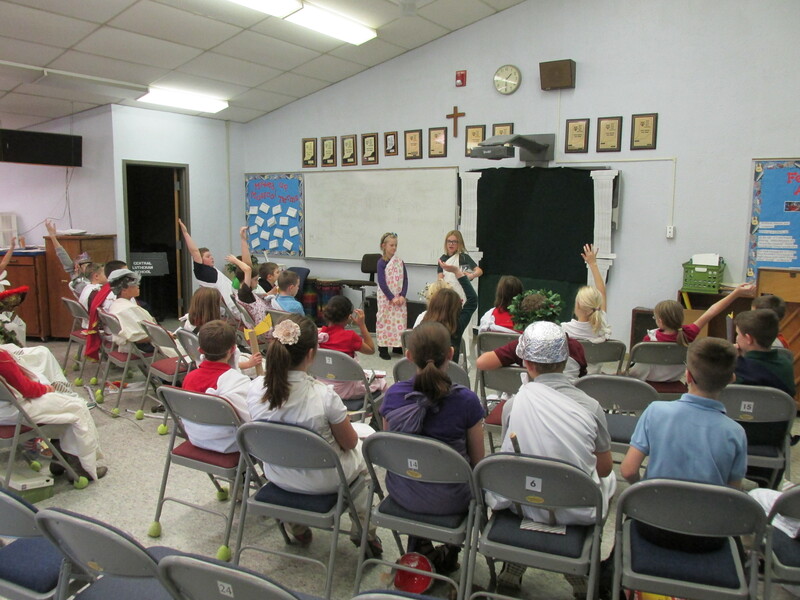 Here are some pictures of the activities we did over the past few weeks. The first week, 4R studied with me. 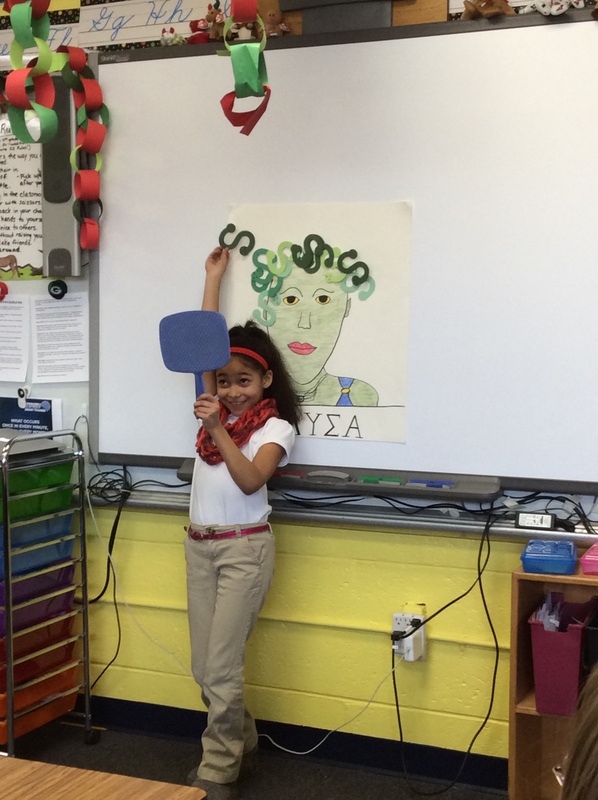 We read and discussed the myths of Echo & Narcissus, Arachne, Persephone & Demeter, and Pandora’s Box. We also did a few projects. 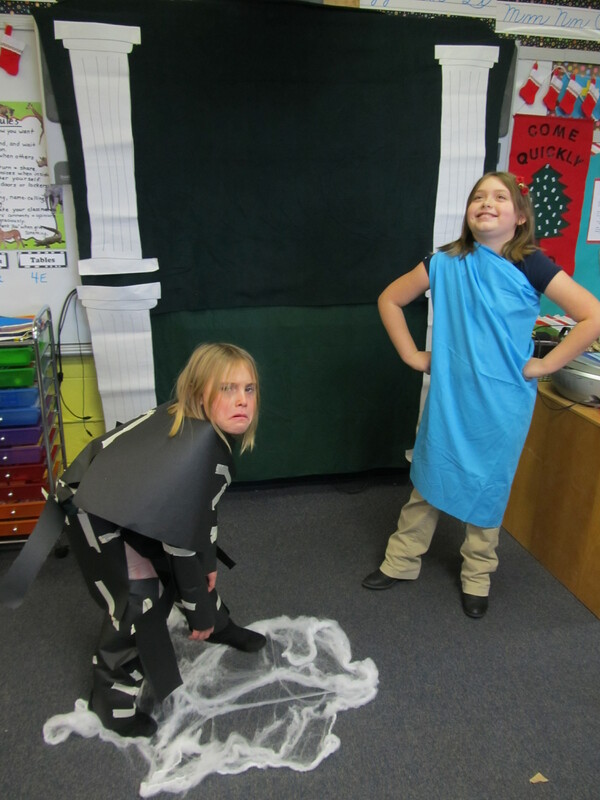 Our first project was making Greek black-figure pottery. The pots turned out great! 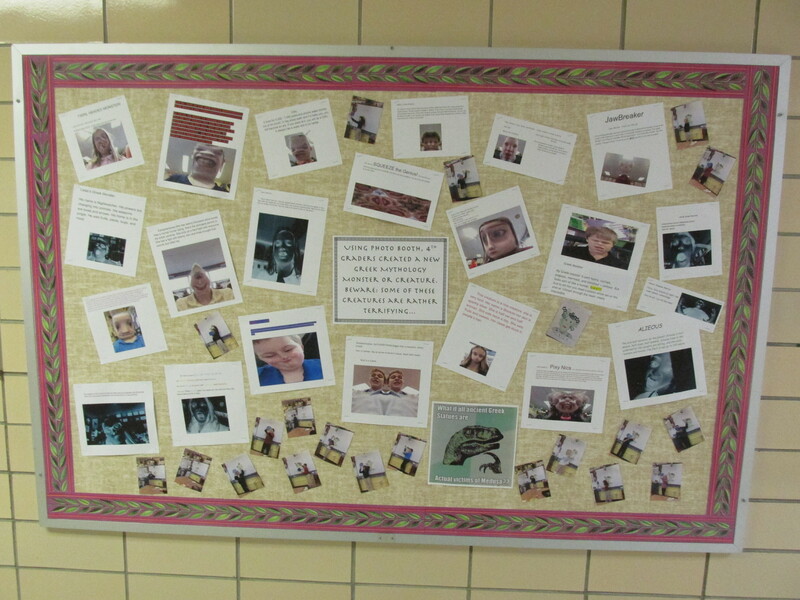 It was awesome to see the creativity with these. 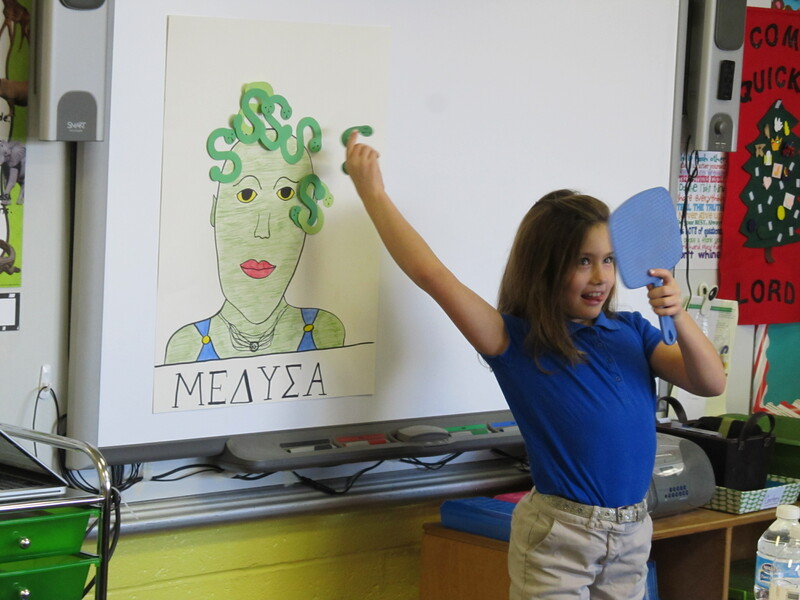 Our other activity was a group project, where each group chose one of the myths just mentioned out of a hat and had to map out a series of scenes from the myth. 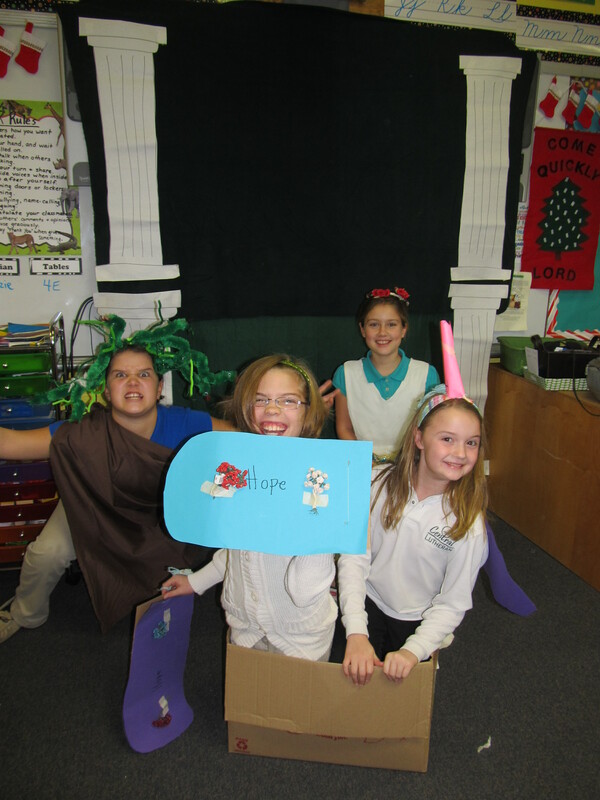 Then, making their own props and scenery, each group posed out the scenes from their myth that told the story-like illustrations-and we took a picture of each scene. 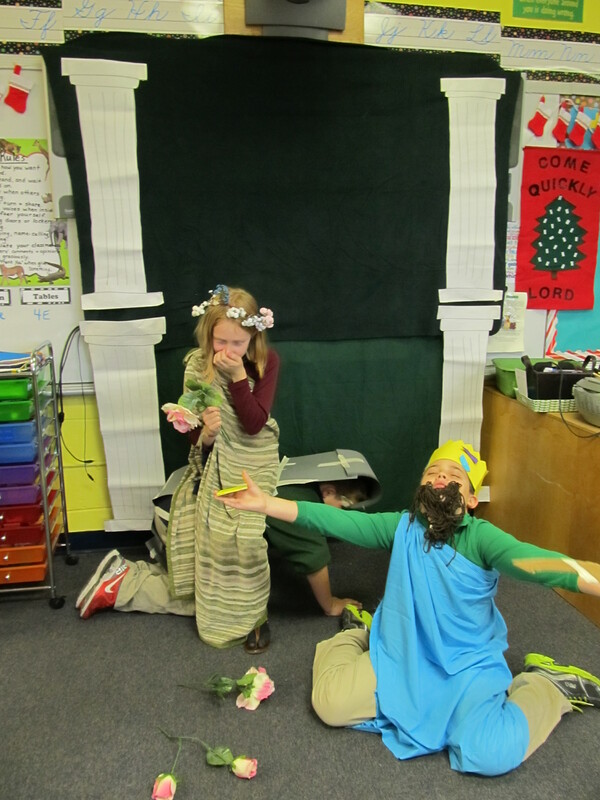 The following day, each student got one of the pictures and had to write that part of the story to go with the scene. When all the pictures and paragraphs are put together, it tells the whole story! 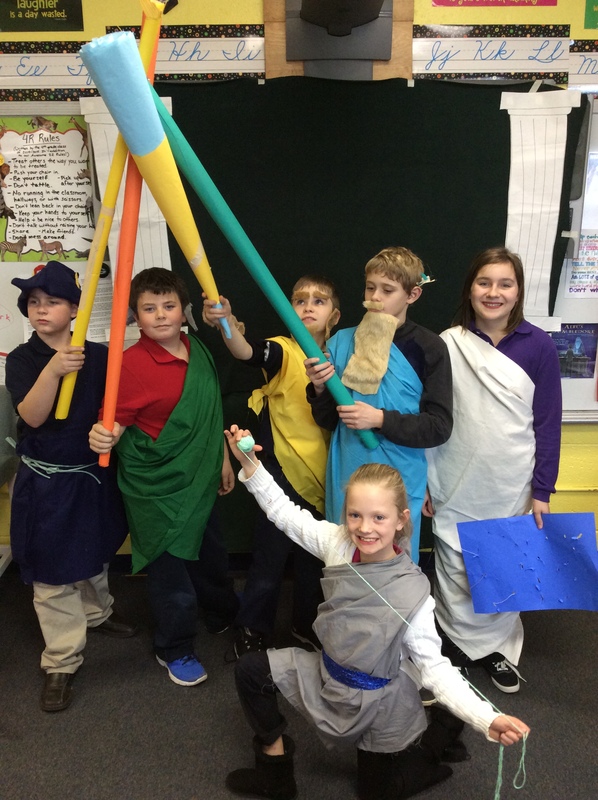 The second week of study, 4E did these same activities with me while our class studied Heracles (you may know him as Hercules), the Trojan War, and other assorted Greek items in the other classroom. 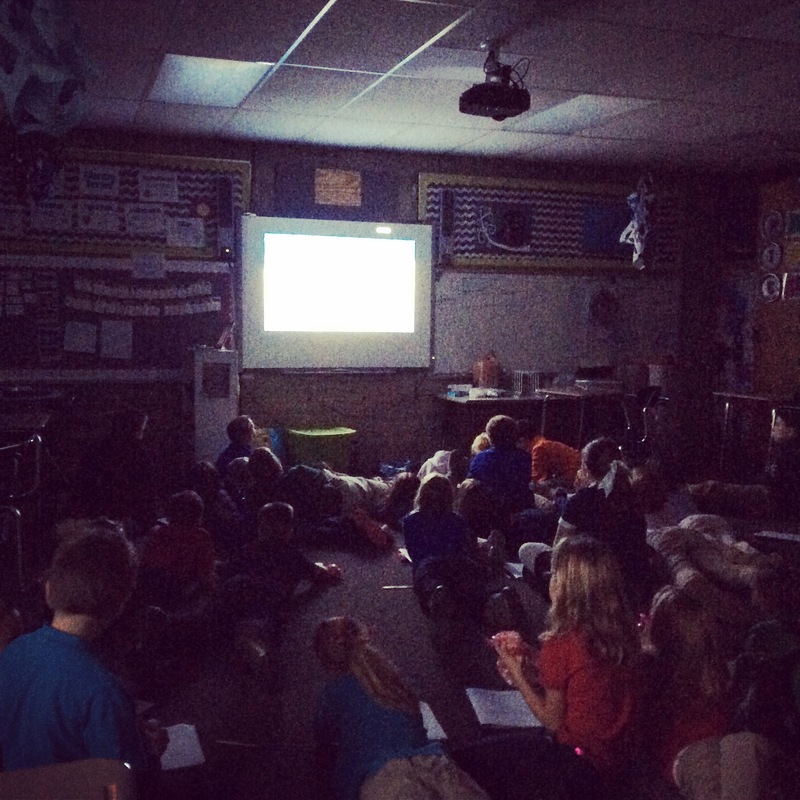 The last two days of our study were spent with an all 4th grade movie party (watching Disney’s Hercules, of course…we kept track of all the differences we spotted from the original myth-there are quite a few!! 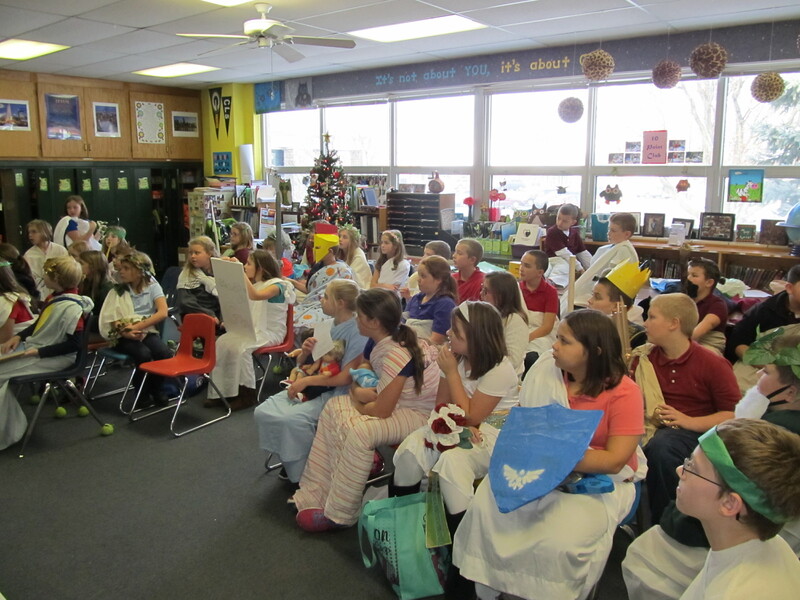 ), and with our final project: the Guess Who Toga Party. 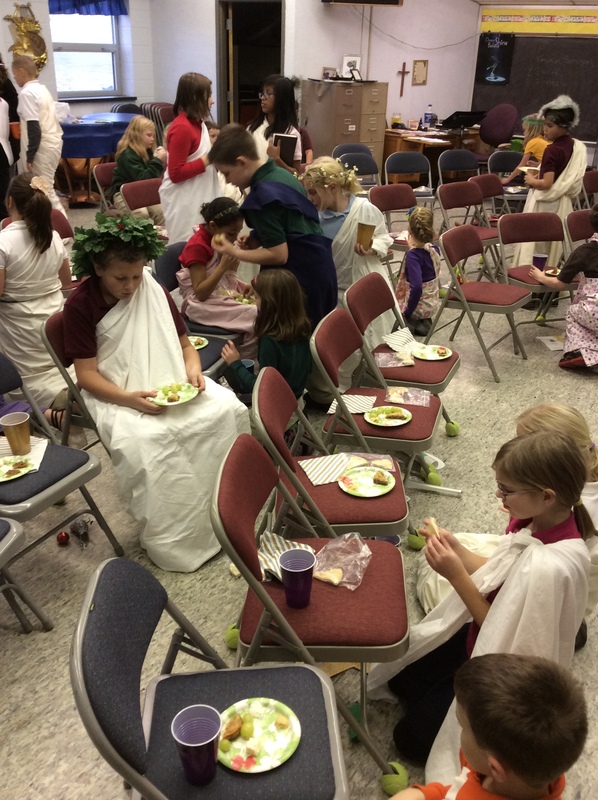 For the toga party, each student picked one of the major gods or goddesses out of a hat. 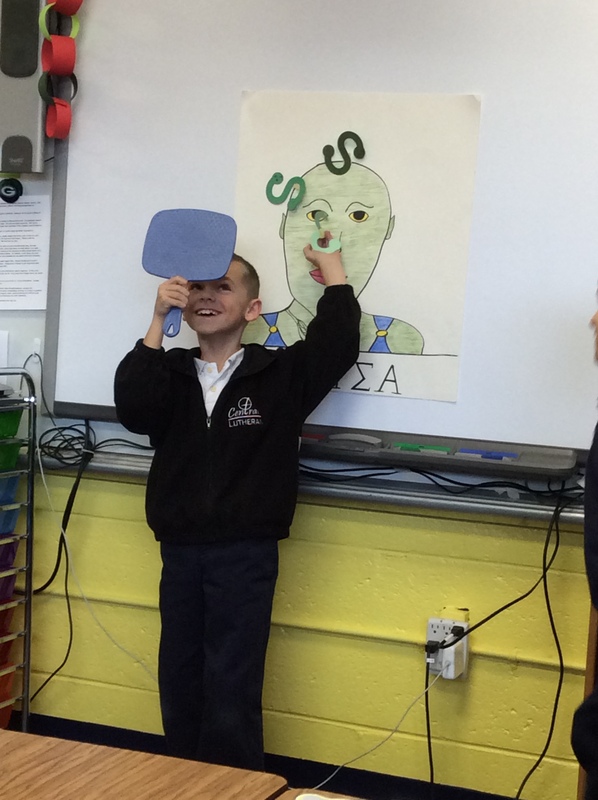 For the project, they had to bring in a prop or item that would allow their classmates to guess which god or goddess they had picked. 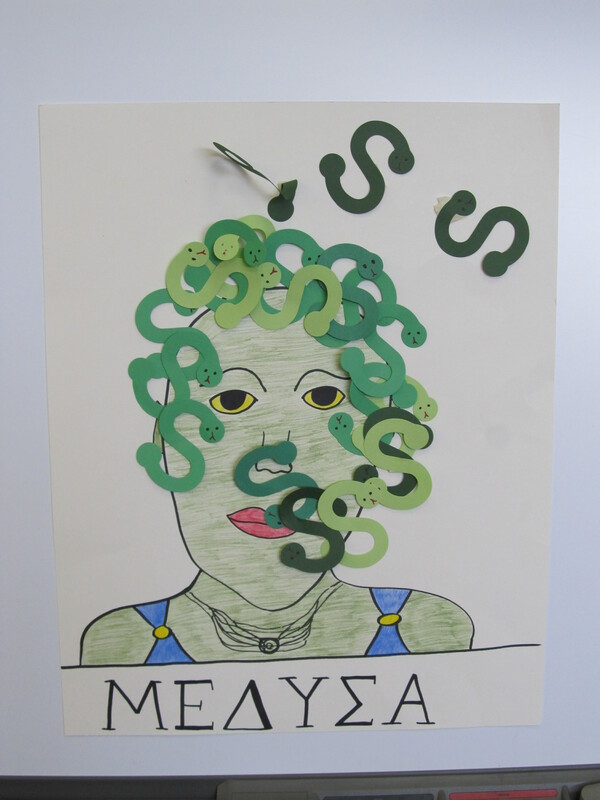 Lots of creativity went into these projects, and it was really fun guessing! 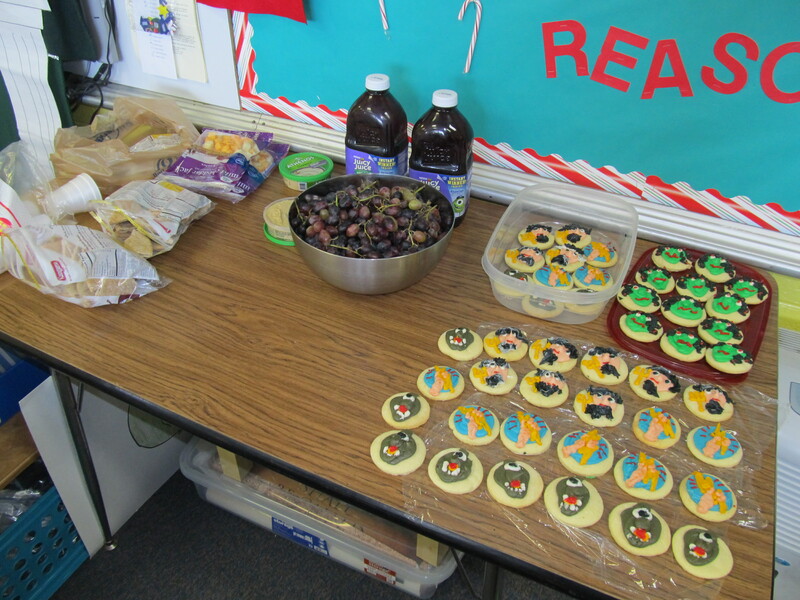 We also had some Mediterranean-inspired foods for our party: pita bread, hummus, grapes, cheese, and grape juice. 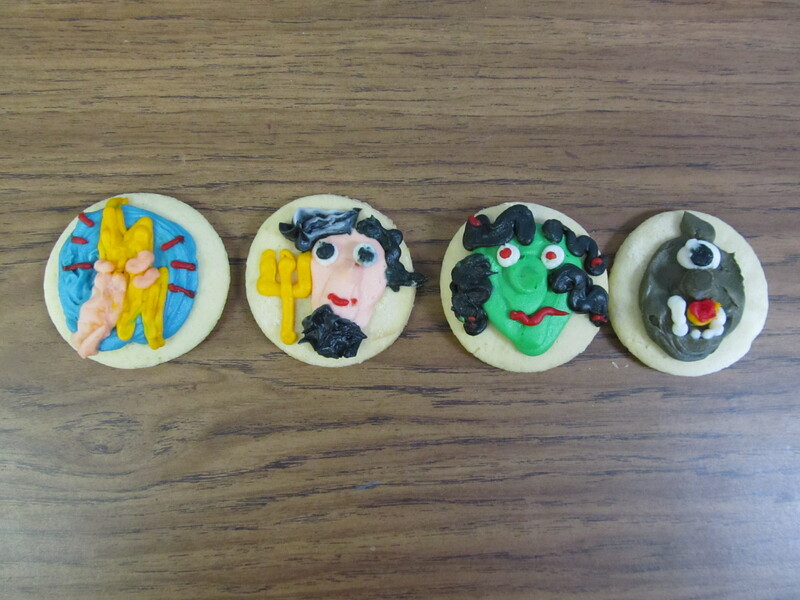 One of our room moms made us some amazing mythology cookies as well. What a fun afternoon! 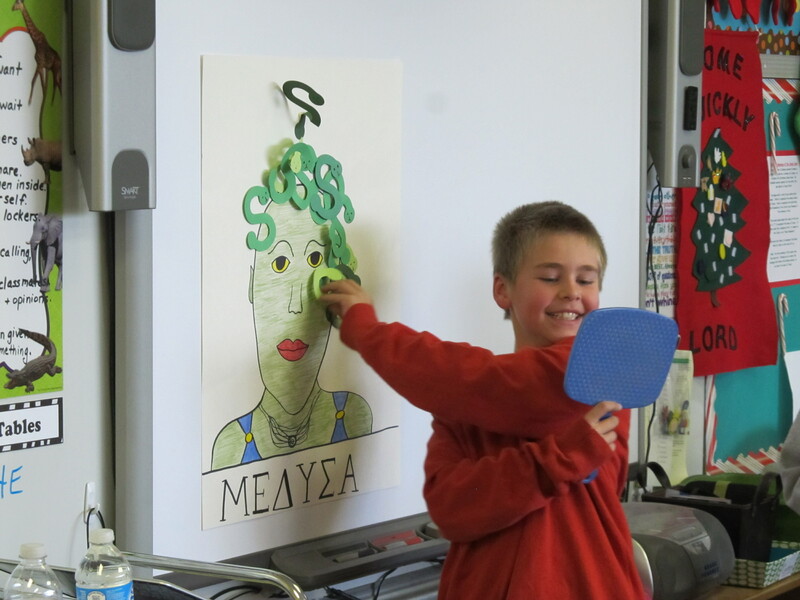 We started our unit on Greek Mythology this week. Yesterday and today were spent working on group projects (Tuesday and Wednesday we made Greek black-figure pottery). 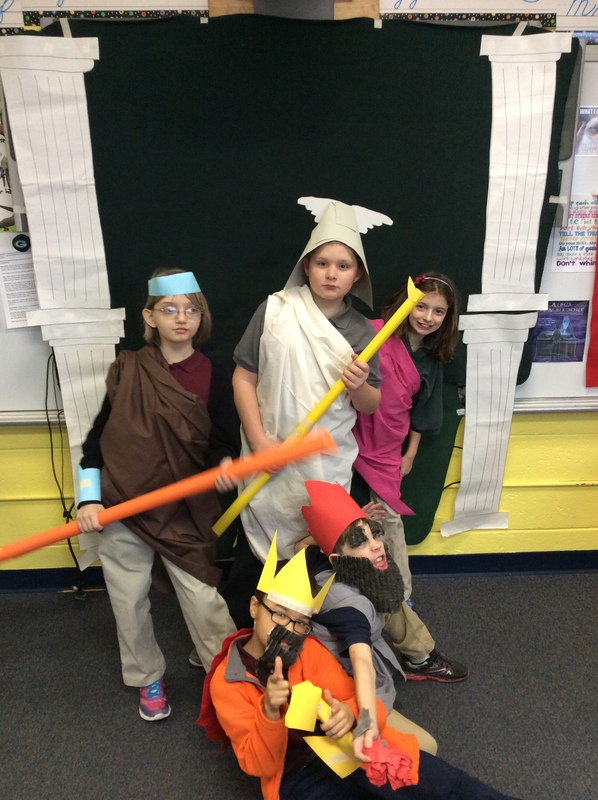 The groups were each assigned a myth we had read for homework this week. 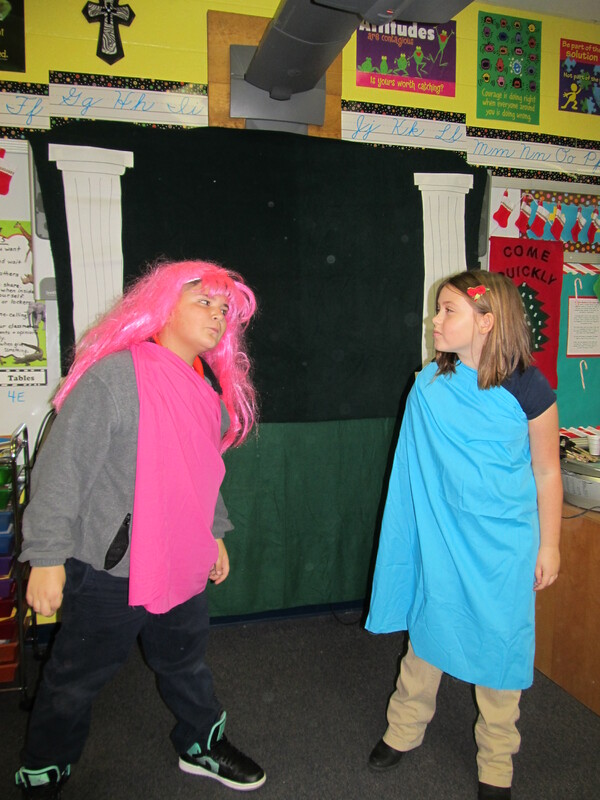 The groups had to figure out what the best scenes were from their myth and act them out. 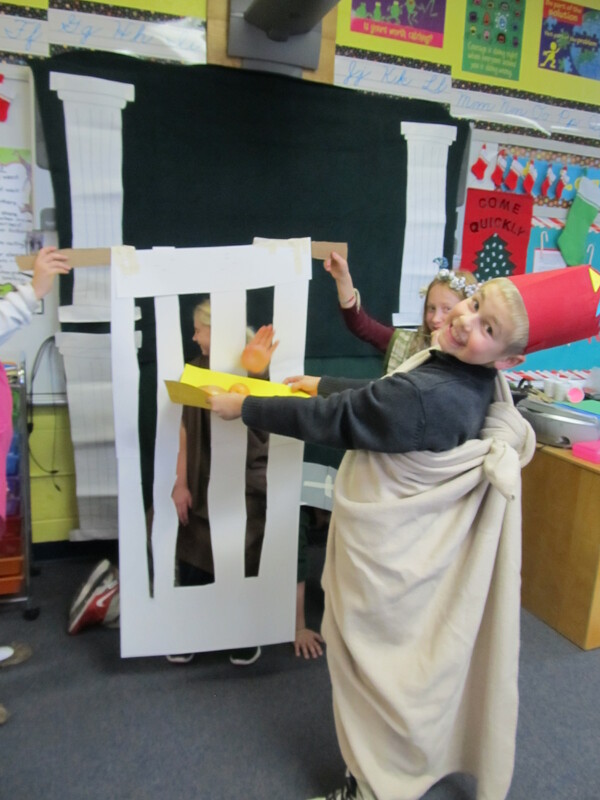 This involved making props, outfits, backgrounds, and more to make their scenes more true to the myths. 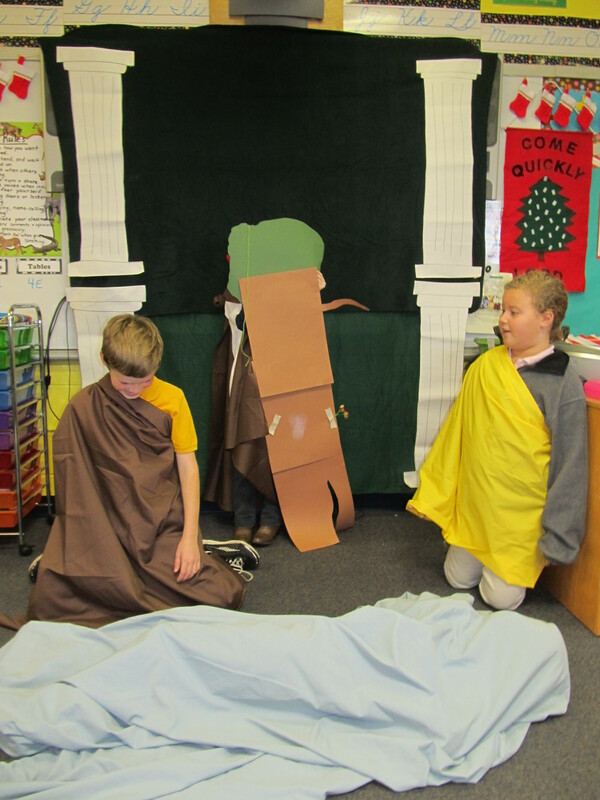 I took pictures of each of their scenes, and tomorrow they are going to treat the scenes like a story board, and they will have to write a summary of each scene to tell their myth.